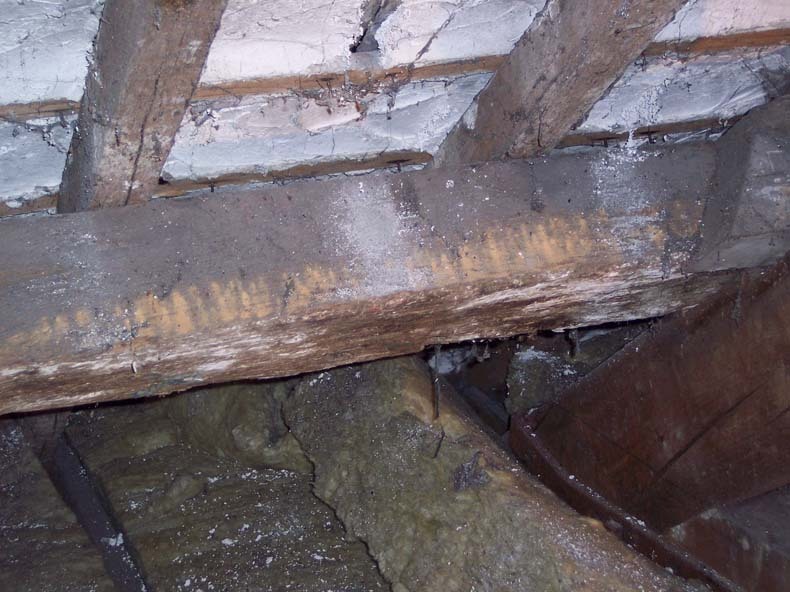 Woodworm is the common term for a number of different species of wood boring beetles which can cause severe damage to timber in buildings. 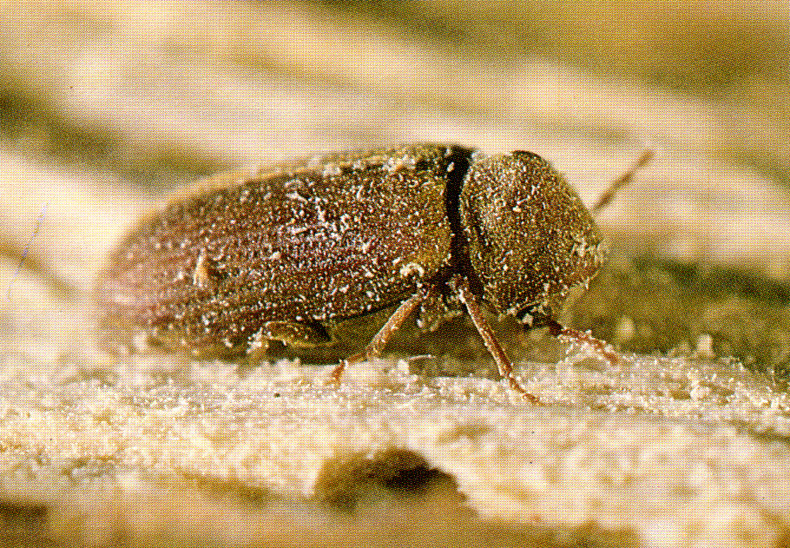 Adult beetles lay eggs which hatch into larvae and carry out the damaging tunnelling in the wood. 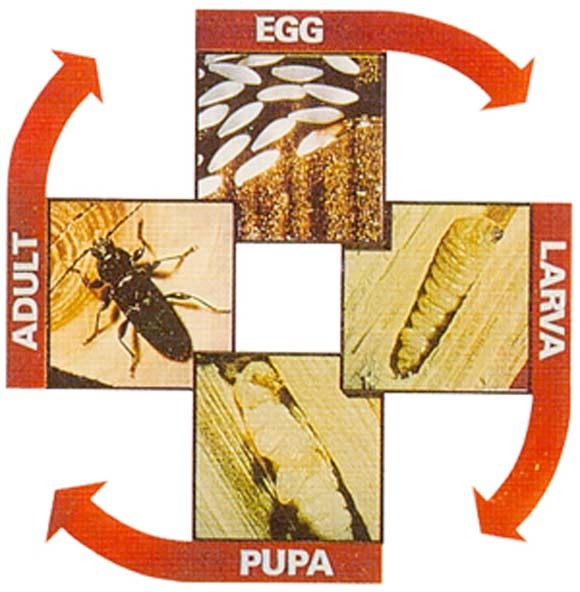 Near the end of the life cycle, the larvae pupates into an adult beetle, and shortly after emerges through a fresh hole to breed and continue the next generation. 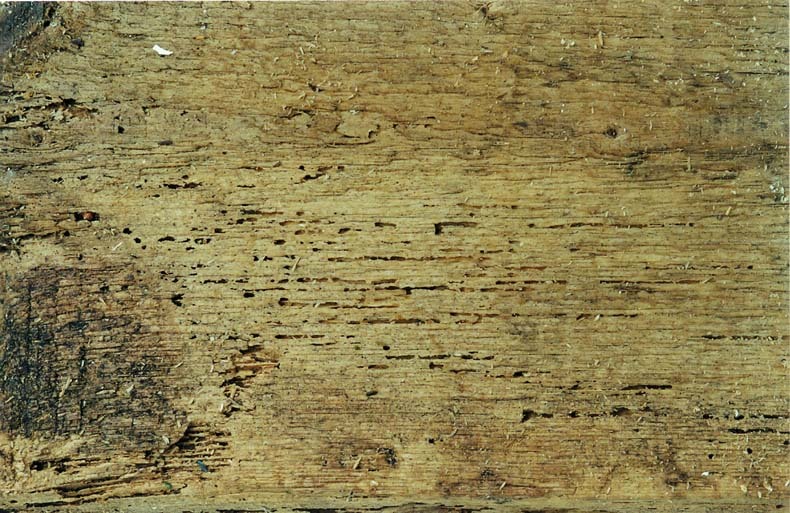 Often the first sign of woodworm infestation is the trail of fresh bore dust left by the adult beetle as it emerges from the timber. 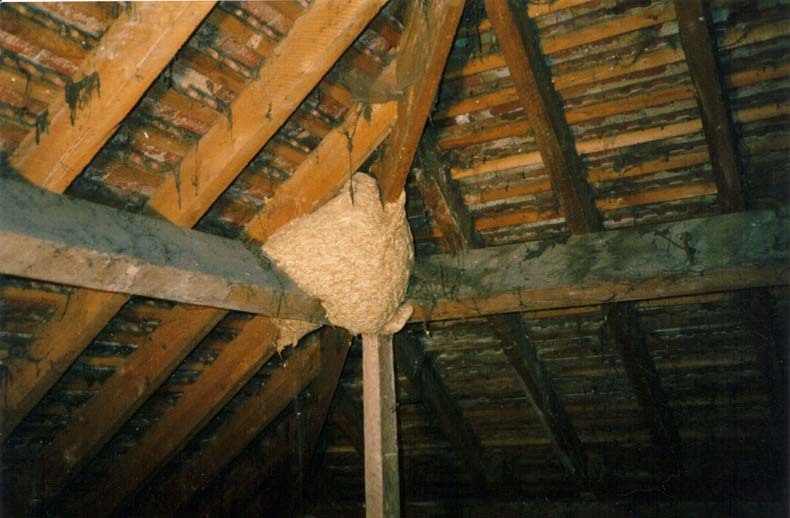 All of the wood boring insects emerge, lay eggs to complete their lifecycle and die shortly afterwards. This insect usually lays around 40 - 80 eggs in both softwood and hardwood timber. 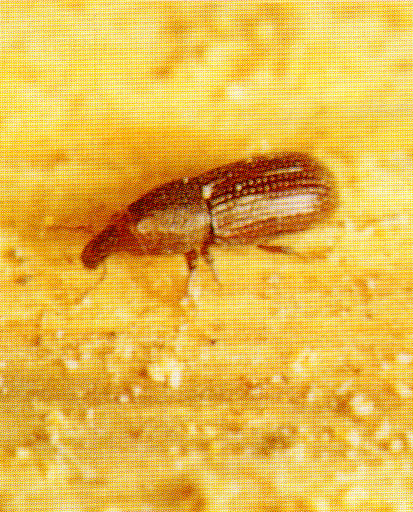 Wood boring weevils do localised severe damage to damp or decayed timbers and leave distinctive channels on the timber surface. Removing the source of dampness is important. 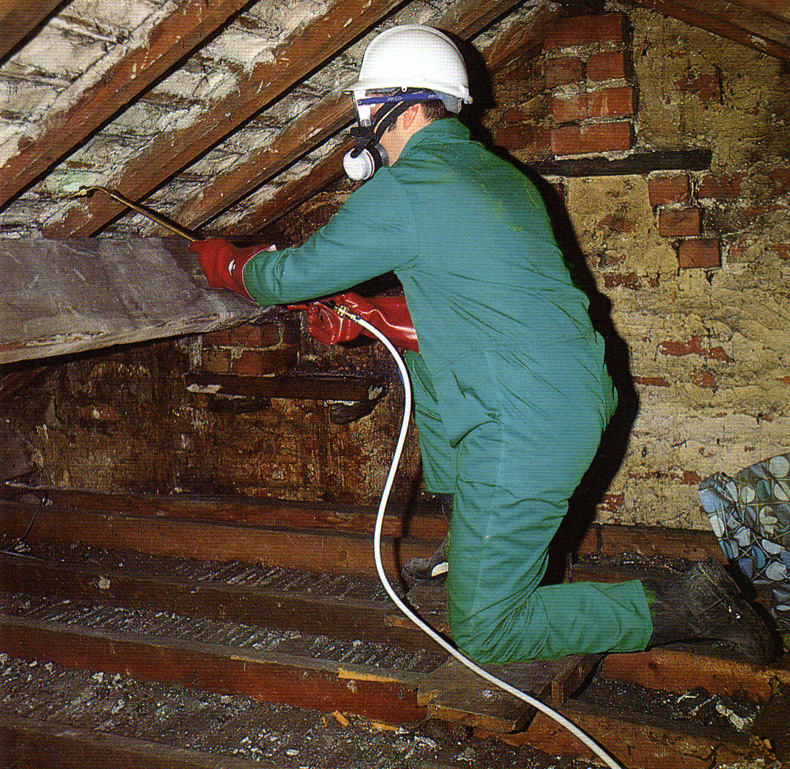 Timbers must be cleaned to remove dust, cobwebs, wasps nests(!) before a spray treatment can be carried out. 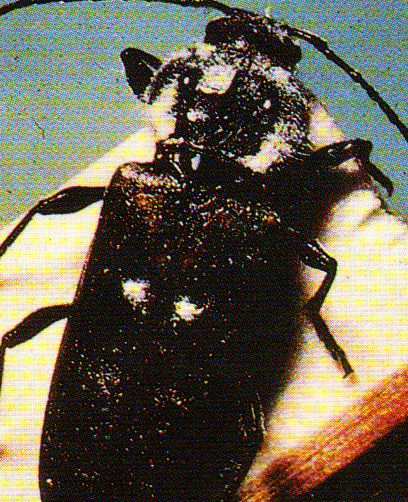 The House Longhorn Beetle - we don't find this insect in Herefordshire or Powys, but have seen first hand the damage it can cause to a roof in France. 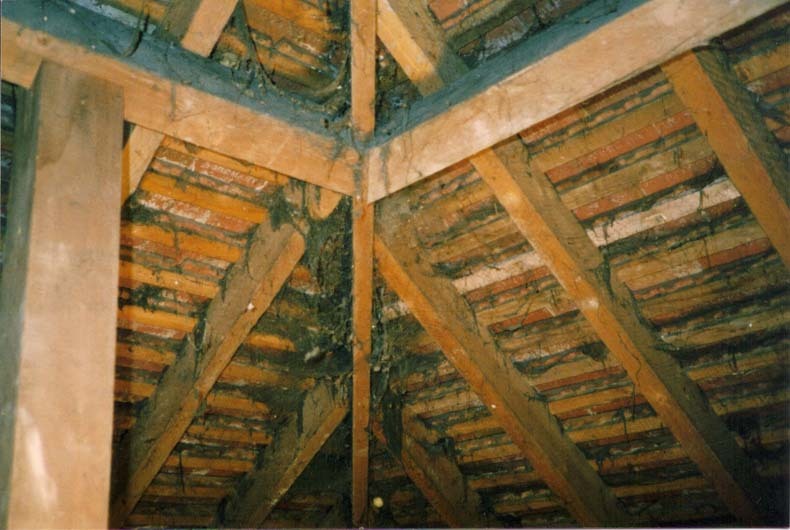 An preservation survey carried out by a qualified CSRT surveyor will identify the type of rot, identify the cause, and specify and carry out a cost effective solution covered by Guarantee. The guarantee can be separately insured by GPI for its 20 year duration on payment of a one off premium. More will be added from time to time, keep an eye on our site for further details!